Do you enjoy eating oranges or the occasional glass of wine? If you do, you might be unknowingly damaging your teeth. Most people know that sugar can lead to tooth decay, but so can acid exposure. It is common in many foods and drinks you probably enjoy every day. Your dentist in Westport, Dr. Masha Kogan, is going to talk a little more about what acid does to your teeth, and how you can protect yourself. Your teeth are made of a variety of minerals, including calcium, which is essential to making them strong. This is why calcium-rich foods such as cheese and yogurt are so good for your teeth. Unfortunately, exposing your teeth to acid can break down this calcium, revealing a more sensitive layer of your teeth called dentin. This makes your tooth much more vulnerable to the plaque and bacteria that can cause tooth decay. How Am I Being Exposed to Acid? Carbonated Drinks: This includes sodas and energy drinks, even “diet” options. Wine: Whether it is red, white, or rosé, all wine is acidic and can potentially damage your teeth. Fruit Juice: This includes lemon, cranberry, orange, and apple juice. Candy: Sugar isn’t acidic itself, but it facilitates the naturally occurring bacteria in your mouth to create it when it consumes the sugar left on your teeth. What Are the Consequences of Acid Exposure? Sensitivity: As your enamel is worn away, this exposes the nerve of your tooth, which makes it much more sensitive to hot, cold, or sweet foods. Discoloration: The dentin underneath your enamel is actually yellow. Transparency: Your enamel is actually slightly translucent, and this can become more apparent as acid eats it away. Cracks: As your teeth become more brittle, it’s easier for them to crack and break. Cupping: Dents can start appearing on your teeth, causing fillings to look like they are rising out of your tooth. What Can I Do About Acid Exposure? A few simple tips is all you need to follow to protect your teeth. 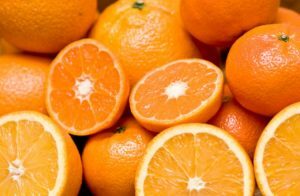 Eat acidic foods with meals: Rather than having acidic foods on their own as a snack, always include them with other foods to limit your teeth’s exposure to them. Drink more water: Substituting acidic drinks for water is a big way to avoid acid. You can also sip it alongside acidic foods to help wash it away. Use a straw: This will reduce the contact with your teeth. Wait before brushing: Your enamel is softer after being exposed to acid, so brushing immediately can actually break them down further. Wait about half an hour before you brush your teeth. You can rinse with water in the meantime. For most of us, acid in our diet is inevitable, but that doesn’t mean our dental health has to suffer. By being aware and taking a few extra steps, you can easily keep your teeth strong and beautiful while also enjoying your favorite foods and drinks. If you have any questions about where acid may be in your diet, or what else you can do about it, please call your cosmetic dentist in Westport today.